This post is sponsored by Mizuno and Fitfluential, as always, all opinions are my own. Hi, my name is Megan and I have a problem....I hoard running shoes. If you were to go in my closet right now, you would find over 30 pairs of shoes including those I have retired. Although my closet is packed, there are only two brands I will run 13.1 and 26.2 in. One of those brands is Mizuno and year ago this weekend, I ran my very first marathon in Mizuno's. 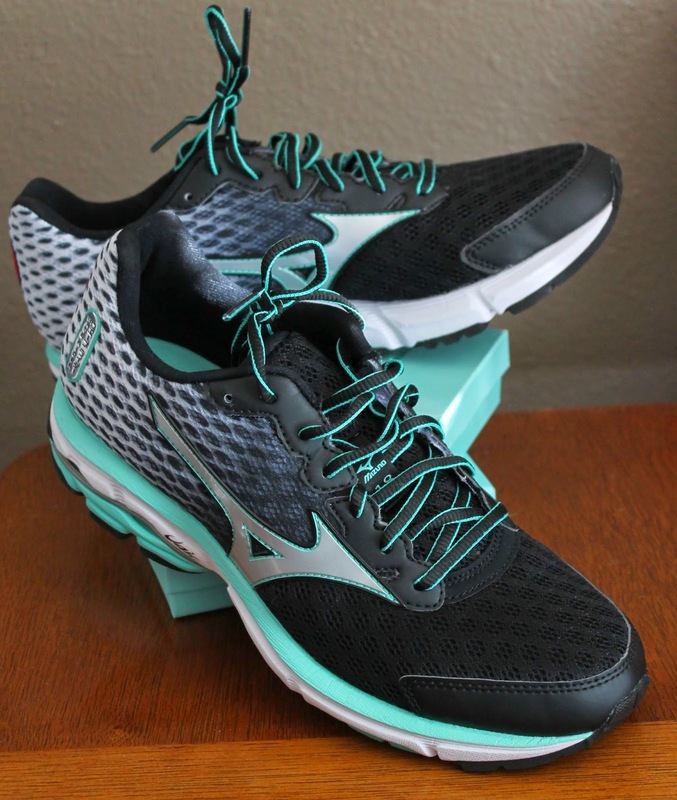 Mizuno recently released the Wave Rider 18 and I had the chance to review them. The shoes came in while we were on our honeymoon so I came home to a present! I excitedly opened the box to find beautiful tiffany blue, black and white shoes. I even used Tiffany boxes to prop the shoes up to show the color similarity! 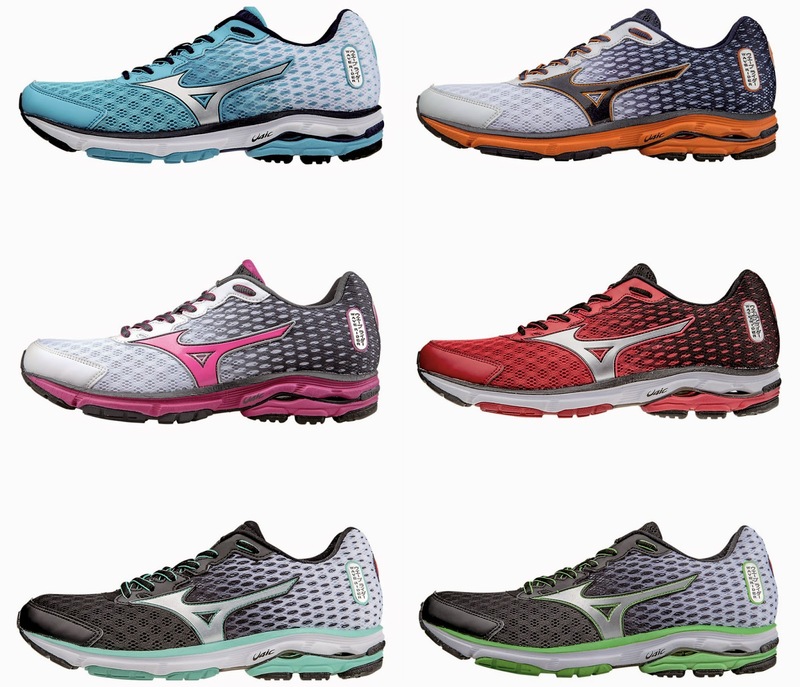 The Wave Rider 18 weights 7.8 oz and has a 12 mm drop, making it a perfect neutral everyday running shoe. The shoes are very comfortable and felt broken in on my first run. I have a massively high arch (you can drive a car under it) and require a wide toe box. I found my toes going numb if I ran anything more than 3 miles. With that said, they are the perfect shoe for me if I want to do shorter runs and like my previous Wave Riders, these will be my 5K and under shoes. I love these shoes!! Great review!! Tiffany blue is a great way to describe the color isn't it?! I've been loving these shoes! I've been wearing the Wave Rider for a few years and I love this newest version!